Every now and then, I manage to actually buy things that I want in a timely fashion! 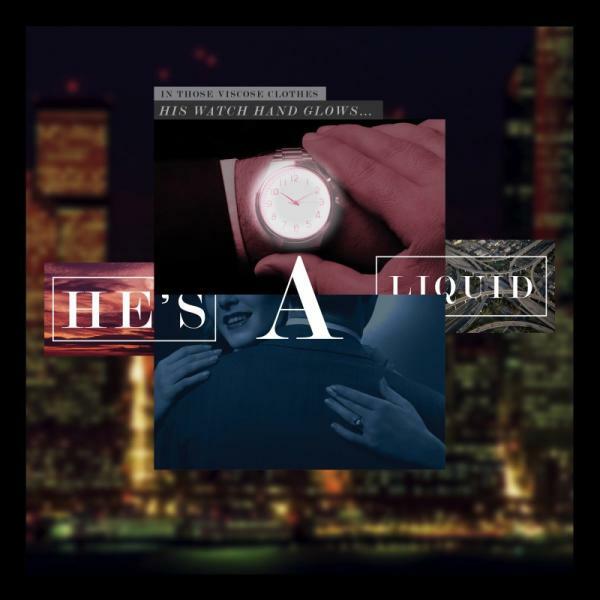 I pre-ordered the “He’s A Liquid” EP in February and it’s been in house for some time now. Excellent. This was the second Foxx-commissioned cover EP project and while I would have preferred a CD like the last time [hint, hint] the 12″ will manage to make do with me. As I’d rather listen to a CD than look at a 12″ [that’s kind of like dancing about architecture, right?] the MP3 downloads that this came with have been on my REVO device for car listening. How is it, you may ask? If Wrangler were the only band here, this still would have been a must buy for me. I’m still pinching myself over the fact that the last five years have seen Stephen Mallinder [ex-Cabaret Voltaire] return from the cold to add his less than dulcet tones to a variety of excellent projects. When he left Cab Volt, I really realized how much I valued his contribution to their sound. hearing his filthy snarl juxtaposed against the etherial wailings of Gazelle Twin is a match made in hell. That the whole song was served in the tasty, analog wrapper I’ve come to expect from Benge was icing on the warm, fresh cake. Surprisingly, the Chinese Water Torture beat of the original was kept largely intact here, though Benge has cheekily appropriated what sounds like the rhythm track to Gary Numan’s “Replicas” for re-use here. I remember when I bought “Metamatic” back in the dawning days of 1981, I was particularly struck by the bleak soundscapes of “Tidal Wave” with Foxx deliberately singing flat to emphasize the unease the track needed. This time, Maths live band member Hannah Peel has sung it more sweetly with her multitracked voices actually harmonizing but crucially retaining the bleak underpinning of the music bed to deliver the requisite queasy, dyspeptic feel that the song was always about. Perhaps now more than ever. I had been hearing about but not hearing LoneLady. This should be changing after this release, since I was most struck by her version of “030” that used conventional instrumentation like cellos and guitars in addition to the requisite synths. Of all the versions here, this one, travels the furthest from the traditional Foxx path; heavy on the synthesizers. The arrangement here used the droning cellos and insect beatbox to map out new territory, and the glitch breakdowns at the song’s end serve to heighten the bleakness of it all. I was looking forward to The Soft Moon’s version of “No-One Driving” due to the fact that “Evidence,” their collaboration with John Foxx + The Maths from the album of the same name, now sits atop my list of Foxx favorites; displacing songs that are nearly 40 years old. There has been some chatter in the Foxx community about the qualities lacking in this version but I think that those people are crazy. The gridlike precision of the original has been swapped for a thrilling, breakneck velocity. This is a performance that’s in the red, and I happen to love how the vocals are buried in the slamming miasma of sound that it created. When it ended after a scant 2:42 I was ready to pay right then and there for a 7:30 12″ version. The EP bookended with another version of “He’s A Liquid” by Xeno + Oaklander. Strangely enough, like Wrangler, the band kept the dry, thwacking rhythms of the original intact within the mix. The salt shaker beatbox added a skittering, insectoid energy to the otherwise ponderous, almost Gothic cover. The inclusion of two versions of the title Foxxtune was the only thing I can dock a point or two on here. Maybe a version of “Plaza” might have been more appropriate. Otherwise, Foxx’s curation of having his next generation collaborators give a going over to his oeuvre has been a great program that has yielded many pleasures for these ears. This was a pressing of 500 and the Jonathan Barnbrook cover is almost worth the price of admission alone. Purchase, here. This entry was posted in Core Collection, Record Review and tagged 2016, cover version, John Foxx, Metamatic Records, Wrangler. Bookmark the permalink. Hmmm…where did my comment go? Must have not hit post…and closed Safari…. Well to start, Wrangler’s He’s A Liquid reminds me how much I want Benge and Mallinder to work with BRM. Wrangler transform this classic into something even edgier than the original. There’s an air of eastern mysticism in the final moments that shows of Benge’s amazing control over his analog machines. I fell for Hannah Peel and her kids music box sound on 2010’s Red Box EP. On Tidal Wave, she brings some of that but builds beautifully on it. She sounds like a Siren whispering in the ear of a doomed sailor. It’s chilling and mesmerizing. LoneLady manages to bring John Foxx into a world I have been hoping some of his earliest music, along with his disciple Gary Numan’s, would go for some time – orchestral interpretation. Visage proved it could be done right with the help of John Bryan. I hope these two foundation artists take the bait. The stand out track here, for me, is the one that I can believe most Foxx fans would have the biggest problem with. The Soft Moon capture the (w)reckless, out of control nature of No One’s Driving and amp up the heart stopping and the harrowing. I definitely cannot listen to this while in my car on the highway – it would make me want to fly off the road. While I was listening to it, I could feel my heart beginning to race. Xeno + Oaklander bring a sort of Gothic/Industrial flavor to He’s A Liquid that I’m glad we get the chance to experience. It’s almost hyper 80’s in its attack and has a storytelling quality. Echorich – ¡Mamacita! Benge/Wrangler producing Billie Ray Martin?! That was almost too easy… but sooooo correct! I’d lay money down right now! CLICK HERE to see the stores I’ve shopped at.